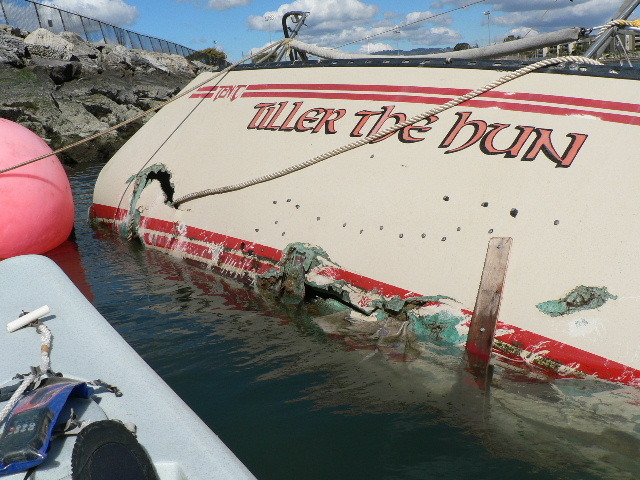 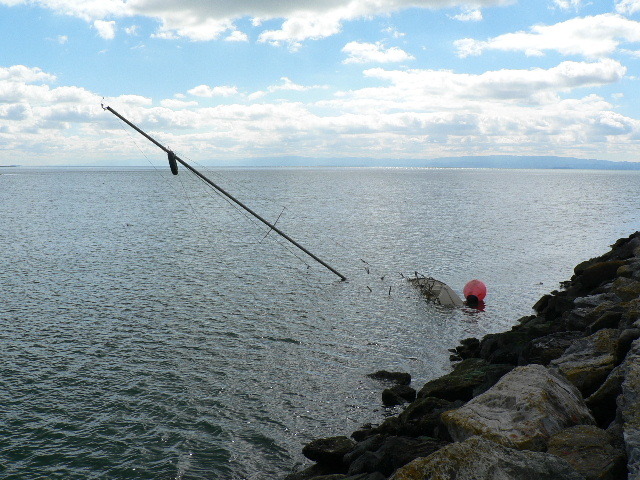 Fellow kayaker Tony sent me the following pictures of the boat that sank during a recent winter storm in SF Bay. See my comments on that sinking in my two years before the mast post. 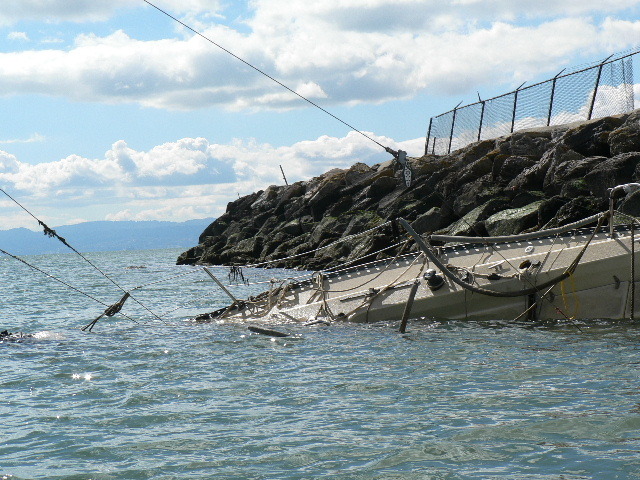 Anyway, boats and rocks is a bad combo and no good comes of it. So the more distance we keep between boats and rocks, the better. Hard to imagine the bay could blow a boat off its anchor when the sun is out and the water is flat on a day like this.